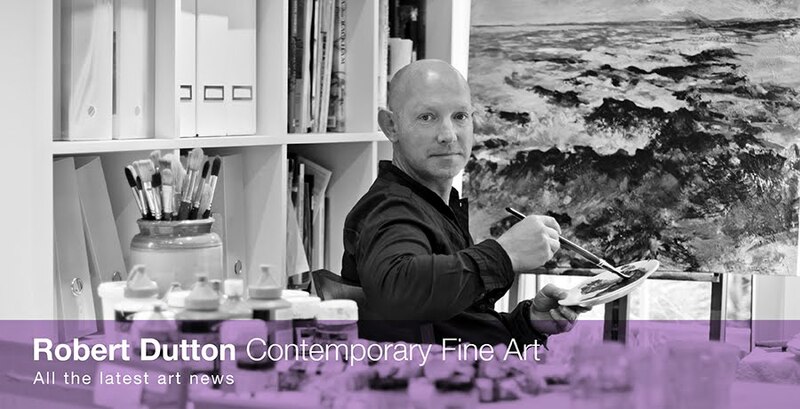 Robert Dutton Artist: Special greetings to you all! Fabulous! I've recently received this table of goodies from the printer last Friday morning - 20 brand new professionally printed greetings cards featuring lots of paintings created with Unison pastels, Rembrandt pastels (and other mixed brand pastels also) Nitram Charcoal, Winsor & Newton watercolour and gouache, Liquitex acrylics...and so much more, especially in the mixed media paintings. Several of the paintings have been award or open exhibition winners or featured within my articles with 'The Artist' magazine...or about to be! 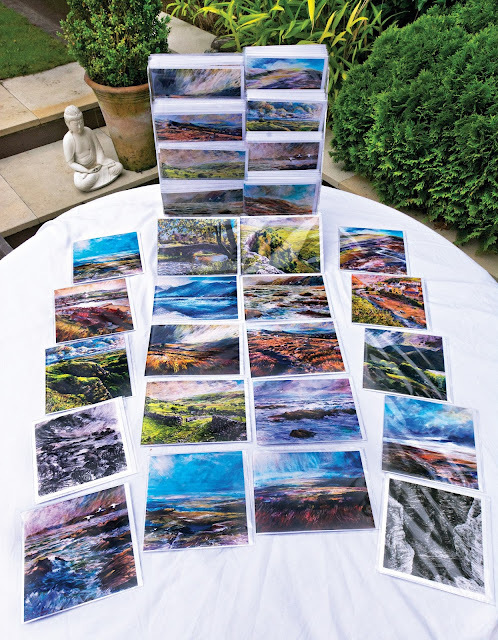 Others have been created as demonstration paintings on several of my popular residential art holidays at Cober Hill (near Scarborough, East Yorkshire Coast), Higham Hall (near Keswick) and Rydal Hall (near Ambleside) in Cumbria, later finished in the studio. All are being snapped up on a regular basis which is really great news for the contemporary galleries buying them and for all concerned. See which ones you recognise from previous 'The Artist' publications recently! Answers on a postcard...or should that be a greetings card!